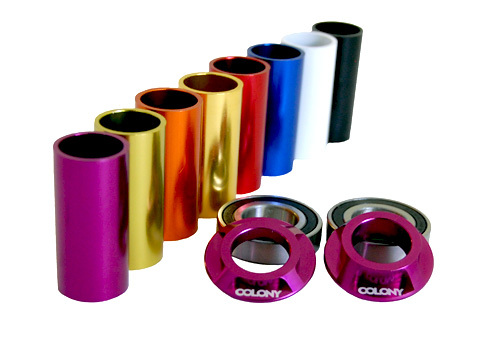 Mid bottom bracket by Colony. -Available in 19mm & 22mm sizes. -Full CNC machined 6061 T6 Alloy. -Unique CNC detail to give it that different look. -Colors (as photographed, front to back): Purple, Wasabi, Tangerine, Gold, Red, Blue, White and Black.